All Yellow and Red Cards issued by umpires in any Leinster Hockey competition should be recorded on the match card. Records are kept of cards issued during each season and brought to the attention of the Disciplinary Committee. 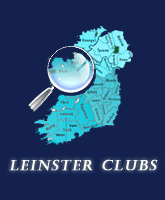 Club umpires are requested to submit a card report form (see below) to leinsterhockey@gmail.com within 72 hours of the game. Please note that any player who receives three (3) Yellow Cards will be called before the next Disciplinary Panel Meeting.